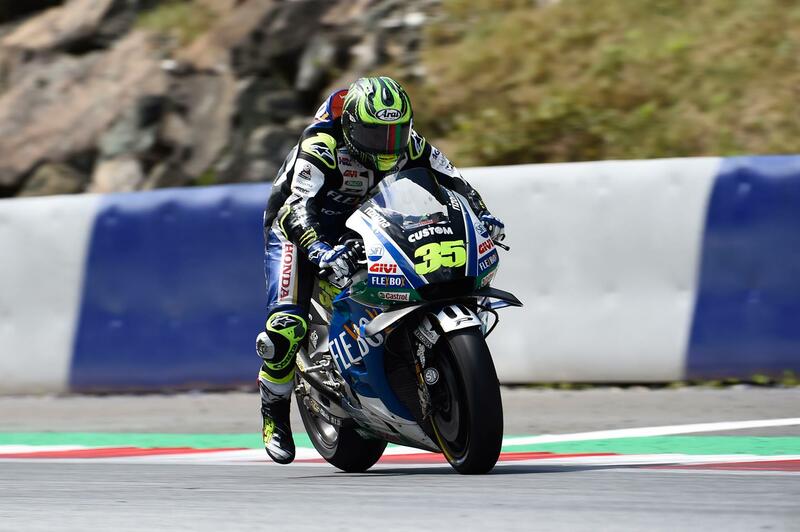 Cal Crutchlow says he’s going into this year’s British Grand Prix in a brand-new position, not only one of the outside possibilities for victory in Sunday’s race but, for the first time in his MotoGP career, a genuine pre-race favourite for the win. Stronger than ever in the first half of the 2018 season and firmly establishing himself as the second of the Hondas behind only Marc Marquez and well clear of the retiring Dani Pedrosa, the LCR Honda rider is going into his home race in a better position that he’s ever been in before. "I’m not a dark horse this year, I’m a favourite, and the others are right to think that. I believe that the team are working very well, and there’s seven guys who can win there but hopefully we’ve just got a little bit more than they do. Last year I had a fourth place off a 15th in Austria, and this year I’m going in from a fourth place and maybe that’s what we need to be competitive. I was fast at Silverstone last year and I intend to be fast this year." But while he’s had a strong start to the season highlighted by victory in Argentina, there have also been a few poor results and crashes that mean that Crutchlow’s pre-season goal of staying in the title fight for as long as possible is already out of his grasp. Instead of a regret though, the Coventry native sees that as a positive, at least for his home race – by giving him the freedom he needs to properly commit to the win come Sunday. "I’m half and half on what to do at Silverstone this year, because I could easily be top five – and that’s never ever an easy thing to do in MotoGP at the minute. The race last year was a hard one, the pace was high, and the battle was good. I think I can finish on the podium this year, but maybe I throw the chips all in because why not? Maybe next year I’ve got a broken finger and I can’t ride. "Maybe on Sunday I’ll not think about getting points for the championship, because I’m not worried about it. Even though we’ve been quite strong in it and we’re doing a good job in it, it’s quite clear that we’re not going to win it, so why not try and win some more races instead?" And with three victories to his name now and a record in the premier class that most riders are envious of, there is only one thing missing from his CV as he heads to Silverstone – victory in front of a screaming British crowd. "It’s missing, there’s no doubt about it. But they’re not the easiest things to come by! It’s not a case of saying that I’m going to go home and win, because I try to win every race and I go no better at Silverstone than I do at some other tracks. Obviously, we’ve had good results in the last couple of weeks, but last year was not cool! Nine tenths off the win and I didn’t even get a podium out of it! I have to try my best but I’m under no illusions that everyone is faster than they were last year."